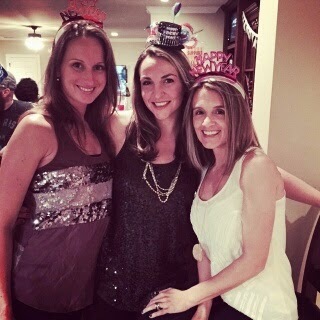 Keeping Up With The Joneses: Happy 2015!! 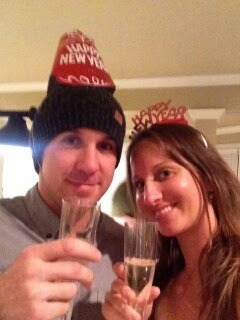 If you can believe it, Bryan and I actually went out to a little par-tay on New Year's Eve. 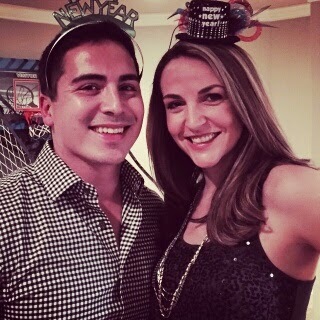 It's been about 9 years since we ventured out of our house for New Year's. Usually we hang with the kids, play games and eat an appetizer dinner. Typically ending with me in bed before midnight. Well this year my girl Lindsay asked if we wanted to come to a party at her brother's house. It took me about a week to answer her with a yes. I will say that there was some pleading on her part, but her pleading won me over in the end. I asked my brother and his lovely lady to join us as well so when they said yes I was pretty excited. Joey, Katie, Bryan and I went to dinner first and then headed to the party. We had a blast! I'm so glad my home-body self ventured out. We didn't leave for home until 1:20 or so, which put me in bed around 2:00. I was dragging the next day, but it was worth it to spend an evening with some of my very favorite people. Ever though I was dragging the next day I managed to get out of the house for some shopping. There is always energy for shopping. I was on a mission to find some "high heels" for my niece for her 7th birthday. Went to 3 different places before the mission was accomplished. 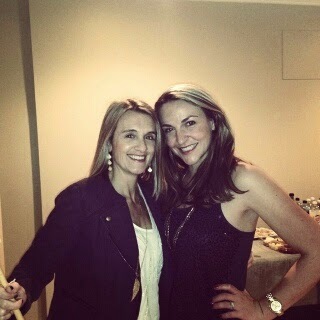 Thanks for the NYE invite Linz and thanks to Rich for hosting everyone. Just want to clarify he didn't wear that skull cap all night. 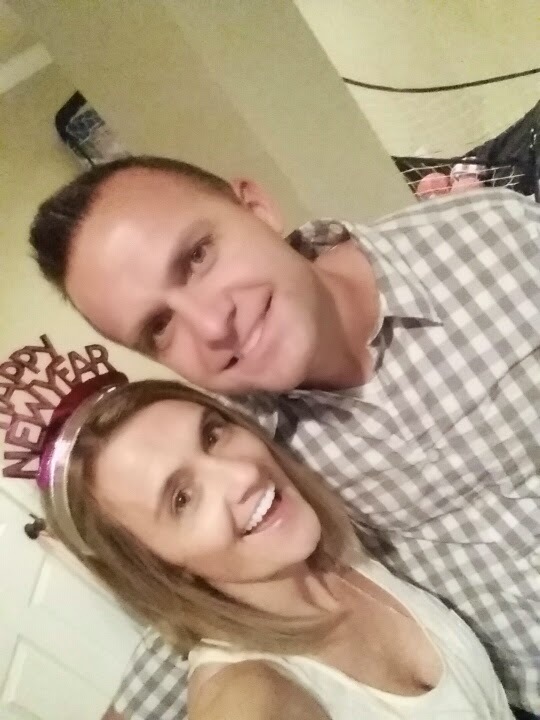 Lindsay and her hubs, Joerry. New Year's Eve was my mom's birthday. 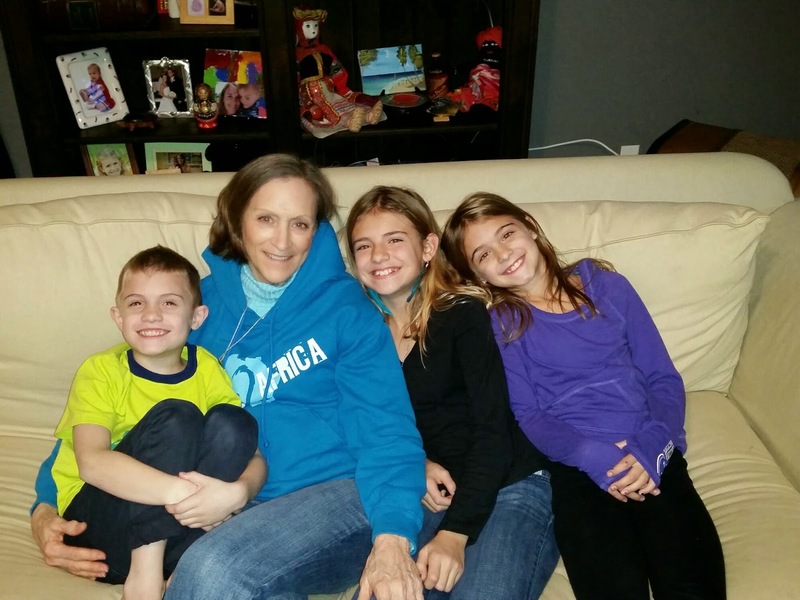 She celebrated with her 3 favorite little people by having them spend-the-night. I'm so upset with myself for forgetting to take a picture of mom, the kids and her strawberry birthday cake. I even brought my camera for that single reason and then completely forgot. 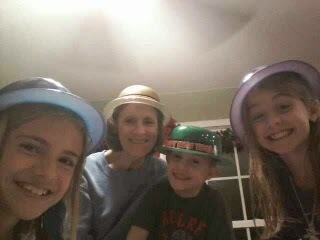 Mom had hats, balloons and blow horns for the kids so they had themselves a fun night too. Apparently Cece was serenaded with blow horns for a good hour. Lucky her! 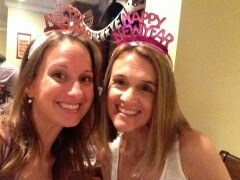 Sydney texted me this picture on NYE. Looks like fun! A day late and no cake but that's okay!